Oh, I could say “Dispelling the mis-truths, but that in itself would be a lie. Let’s call it what it is. A LIE. I am amazed, and at this point in time, should not be, at the total genius of this person. I mean, the innate ability to tug at the heart strings, that of course are connected to the pocket book. I will address the FIRST mis-truth (aka lie) here. This is regarding a 24 year old tiger, that she describes through her tears as hoping he will live long enough to see it through – “Since Circus cats are fully clawed, they have had to be kept in roofed cages here to prevent escape, which limits the amount of open space they have been able to enjoy” . All righty then. Let us begin with BIOLOGY 101. Any big cat expert, such as what this person claims to be, knows that tigers and lions all have wrists that do not lock. What this means is that unlike the Leopard that has locking wrists, they are not very adept at climbing. I am not saying they can’t, but due to their sheer body mass, and the lack of ability to lock their wrists to stabilize their weight, it is VERY difficult for them, claws or no claws. That my dears is why big cats such as the tiger or lion only need a 12′ fence with a foot kicker (a panel of wire, barb wire, that slants INTO the enclosure on top of the 12′ fencing) but you have to have a FULL enclosure with a leopard. And for this little fully enclosed enclosure she merely needs 200, 000!! WOW for that kind of money I know MANY people, including myself that would have an entire wild life reserve! But of course the cost of BUYING a lift truck and not renting one is of utmost importance. And of that 200,000 she has only raised 76,311. Do I sound a bit snippy? Yes I am because she preys on people that either not been exposed to the truth or have been exposed and choose to ignore it because it is more popular to look like you are doing good. What ever happened to not only looking like you are doing good and actually doing good? Now let us move on to the latest barrage of propaganda.. I fight this daily. You have a picture of a leopard (seems AWFUL funny that NOW all the anti private owner posters were in tigers and lions, but now since I have been throwing the Asian Leopard in there that is strictly FACTS, the picture has now changed to a LEOPARD.. LOL) telling you that “Some people would think he would make a good pet” “REALLY” STOP THE MADNESS!! and the letters are on a black poster in red ink.. talk about PROPAGANDA!! WOW..
Once again, I will explain our position here at the Jungle. First and foremost, we are a PRIVATE OWNER in the governments eyes. We are not AZA ZOO nor are we a GFAS sanctuary. I will explain each one of these organizations one at a time. AZA is an accrediting organization that sets guidelines that all of their member zoo’s must adhere to. They set guidelines of what species they may have on display, and what they may or may not breed. Also the AZA mandates the Flora. AZA zoo’s keep their own stud books. Before each species is bred, it must be determined whether they are on the SSP (Species Survival Program) of which the AZA created. This is not a bad thing at all, because it lowers (but does not nor can it possibly) inbreeding to some extent. But by the AZA’s own admission, they do not have enough cage space or even finances to save all the species that need to be saved, therefore they must make critical choices in which species to save. They also cannot display any animal with an imperfection. (Don’t ask, don’t tell where these imperfect species end up) AZA zoo’s because of their high traffic also have the HIGHEST rate of accidents involving the public vs the private owners. Private facilities such as us, do NOT have to make that critical choice of who to save. We can choose to save whatever species we see that needs the help the most. And by India’s OWN ADMISSION (read the last two paragraphs of this article and it echos what I have been saying for TWO YEARS) the Asian/Indian leopard is bypassing any other wild cat on the road to extinction http://articles.timesofindia.indiatimes.com/2013-07-02/noida/40327860_1_leopards-human-habitats-uttrakhand . So with this in mind, why would ANYONE want to ban private owners that have less cases of incidents and more money to help these animals? One word.. MONEY. 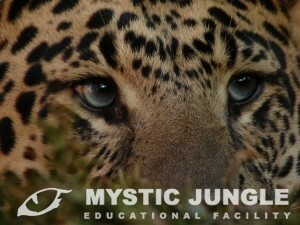 For the TRUTH on big cats watch this excellent video. Here is part 1 – http://www.youtube.com/watch?v=eLroyZzojvg and part 2 http://www.youtube.com/watch?v=YfBg_fggFFc An In(Cat) venient Truth. While this was made up about 4 years ago and we have had actually one more fatality at a facility that had a spotless record (the father of the volunteer was an attorney and a VERY intelligent man. He stated his daughter died doing what she loved) and it was a mistake on the volunteers part by leaving a lock out door open. The lion was not even on the attack, he merely came up from behind and when he jumped up on her he snapped her neck. Tragic is not the word.., the exotic cat industry still has the LOWEST RATE of incidents even in the bigger zoo’s than ANY OTHER risk profession. And remember this fact. Each and every one of these people placed themselves into the direct area of the cat. NO CAT has EVER broke free and went on a rampage killing people throughout a neighborhood. Not even the tigress that attacked and killed the young men at an AZA zoo! She NEVER left the property! She bypassed MANY people and what would have been prey on some of the animals, and kept focused on the boys that allegedly had been taunting her for a good part of the day. Now let us talk sanctuary’s. There are a few good ones out there and I had the pleasure of meeting them at the FCF convention. They understood conservation. They had only the cat’s best interest in mind and NONE OF THEM EVER blast all over their web pages made up sob stories of cats being kept in garages, dog kennels etc. NONE OF THEM. They get it. But then you have a few, that are members of the GFAS (Global Federation of Animal Sanctuaries) that will do ANYTHING to get those donations. Including making up stories on the animals that they have received. And if you check into the back ground of most of these sanctuary owners you will find a past checkered in failed breeding programs or a history of safety violations. They excuse for why they are now “sanctuaries”? Why, they have seen the light and changed their ways of course! Or is it that they have seen the route to make a boat load of money? People will pony up the money a lot of times when a sad sad story is attached. It is human nature. But to prey on this virtue in people is wrong on so many levels I cannot even begin to describe it. And let us not forget the latest incident of a keeper at a sanctuary was attacked by a tiger. Of course somehow someway, this was private owners fault. Huh? A private owner told her to not lock a gate? Oh.. I get it.. the cat would not have been there in the first place.. ahh I see.. maybe.. or maybe not.. remember there are AZA Zoo’s and what do they do with their imperfect specimens? Hmmm..
Sanctuaries claim to do it for conservation. They claim that by breeding here, we are endangering the ones in the wild and that the ones here do nothing for conservation. Not quite sure of the logic on us endangering the ones in the wild, but I can definitely rebuttal the ones on how we are actually helping them here by captive breeding programs. Private facilities hold a large diverse gene pool, allowing for genetic diversity. Even with the Florida Panther and the Grey Wolf, both have had good recovery through the usage of the private sector and utilizing different subspecies to create the genetic diversity that is lost through teetering on the brink of extinction and suffering genetic bottlenecking. We, as private owners, are an ally to these endangered species and to have to fight day in and day out with maybe well intentioned but ill advised persons is daunting. To me, if you cannot stand behind us, as private owners, then please don’t get in our way. Learn the truth of big cat ownership. It is not a walk in the park. It is not an ego trip (trust me, If I wanted to be on an ego trip I could flip to the other side, make a boat load of money and have people thinking I am a god) it is about the cats and about the cats is what is shall forever be. Today’s blog was a lesson, but more of a rant. There is only so much you can take, especially when you see propaganda posters with your species of choice that you are trying desperately to save (even going so far right now as to learn Hindi and the customs of India so that I can go over to India) with the shock and awe effect. Then I get a newsletter about a geriatric cat that needs this huge enclosure (not quite clear on if they are planning to enclose the top or are explaining why he was in a full topped enclosure.. it was the lie about the possibility of him climbing out because he has claws – well claws or now claws if you have only a four foot fence any cat will climb out.. LOL) but these both just sent me over the edge, both of these “sanctuaries” are the best of buds and both have very interesting pasts and back grounds.. Remember, call your congressman today and tell him NOT to co sponsor the Big Cat Safety Act HR 1998 . It is NOT about public safety! It is about MONEY!